The initial stages of starting a beauty product business can be daunting — it’s often hard to know where to start. Though it may be difficult to compete with the well-established brands you use in the salon every day, there’s always space in the indie-sphere for a newcomer. 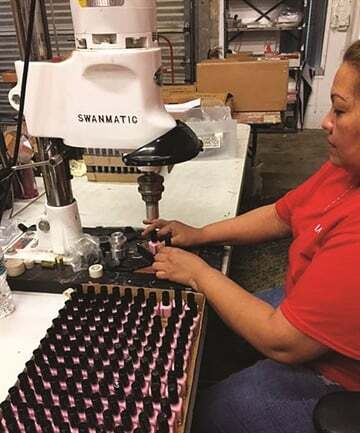 Successful indie nail polish manufacturer S. Maria Chheo-Shen says she welcomes healthy competition with her NailNation3000 brand with an open heart. DO YOU BELIEVE IN KARMA MARKETING? Establishing a customer base is vital to a thriving business, but there’s more to it than just money, NailNation3000’s S. Maria Chheo-Shen says. “You get in with a customer and then they become a good friend, and you start learning about these amazing people and their stories. Your product can help someone in a way that you never even thought of,” she says. Chheo-Shen is philanthropic and has donated to and raised awareness for conditions like autism and a rare disease called Chiari malformation, which affects her daughter. 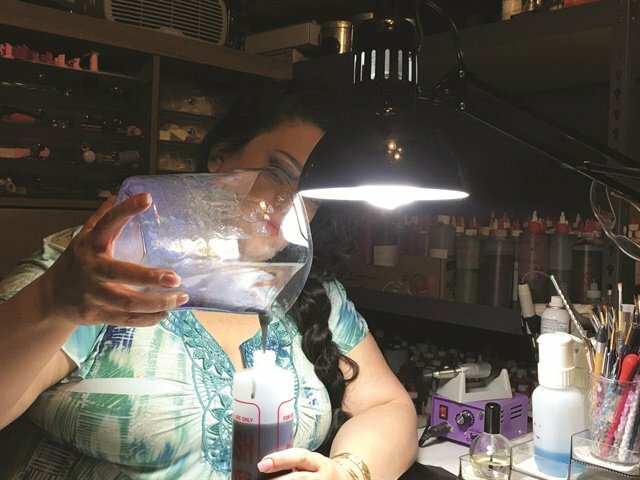 After years of working as both a nail tech and retail manager, Chheo-Shen took her expertise to nail art forums and began producing tutorials and demos. She unintentionally established a following before her brand even began and now @NailNation3000 has over 230,000 “likes” on Facebook. Today, she fully supports herself through the company, and though she says it’s a lot of work, she exudes passion and authenticity. These are Shen’s tips for getting started in the indie polish world, step-by-step. You have to decide whether your business is going to be a side-hobby or if you want to grow your polish line into a profitable company, Chheo-Shen advises. “That can change as you go, but it’s important to have a business model in mind,” she says. Continue to think about these questions as you go on to the next step. 3. Develop a formal business plan. Key aspects of a business plan include company goals, a marketing strategy, product information, and a financial outline. Determine the price of your product and where you intend to sell it. You can open a virtual store on a website like Etsy or Storenvy, as well as visit neighborhood shops and ask if they’re willing to sell your product. “Know what your goals are and make them realistic,” Chheo-Shen says. This may be overwhelming if you’ve never developed a business plan before, but there are many resources available to help. You can check the SBA website (www.sba.gov. ), reach out to an entrepreneurial friend for advice, or sign up for business classes at a community college. 4. Invest your time and money. Chheo-Shen starts with a base color and then adds in different pigments, micas, and glitters to create her specialty polishes of holographic and color-morph shades. Be prepared to work long hours and prioritize where your money goes. “If you have another job, you’ll need to map out a schedule so you can invest your time in the way you need to succeed,” Chheo-Shen says. In addition to time, you will have to invest a chunk of change. Chheo-Shen recommends having about $1,000 of cash on hand to start out. Once you begin to bring in revenue, any profits should go toward company improvements. 5. Choose a supplier (or suppliers). There are two approaches when it comes to suppliers: one-supplier-fits-all or do-it-yourself. Whichever you choose, experiment before ordering in large quantities. Wear the polish on your own nails to see how quickly the color chips, if the polish comes out exactly how you wanted it to, and which colors are well-received by your community. Diamond Cosmetics can supply bottles, caps, treatments, and a large variety of color choices. Option #1: Use one supplier with premade colors. It can be much more costly to use a number of suppliers for your different polish business needs, says Diamond Cosmetics owner Lisa Antinelli. She suggests using one supplier who offers all the elements you need, especially if you are just starting out. Suppliers like Diamond Cosmetics can provide a collection of bottles, caps, and treatments, and a large variety of color choices. “Let’s say Mary owns a salon business and she wants to offer her own polish. She would start with our first option and order 24 bottles of 12 different colors, and use our stock cap and bottle. You can rename the colors too, so our #2 Deep Red becomes your #1 Mary’s Red,” Antinelli says. She adds that using one supplier instead of many will help you avoid mistakes, maximize your time, and reduce your expenses, due to their buying power. 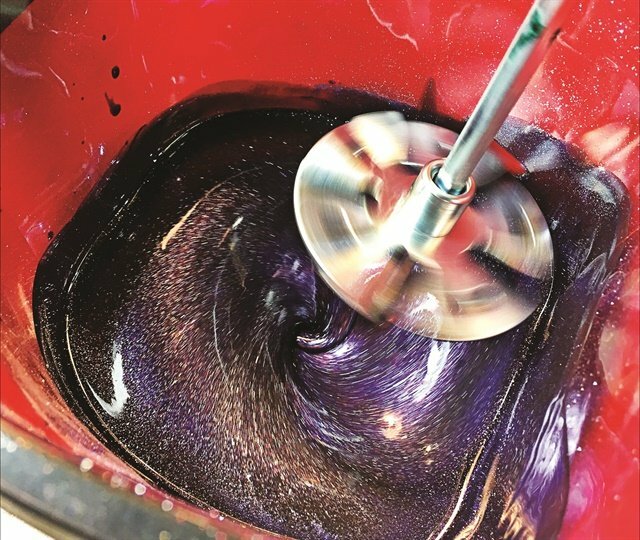 “We know a lot of our companies don’t have a lot of money to spend or knowledge on the backend, but they have this dream to start their own line of polish, so we offer our knowledge and experience to them,” Antinelli says. Option #2: Use one or more suppliers and mix your own colors. 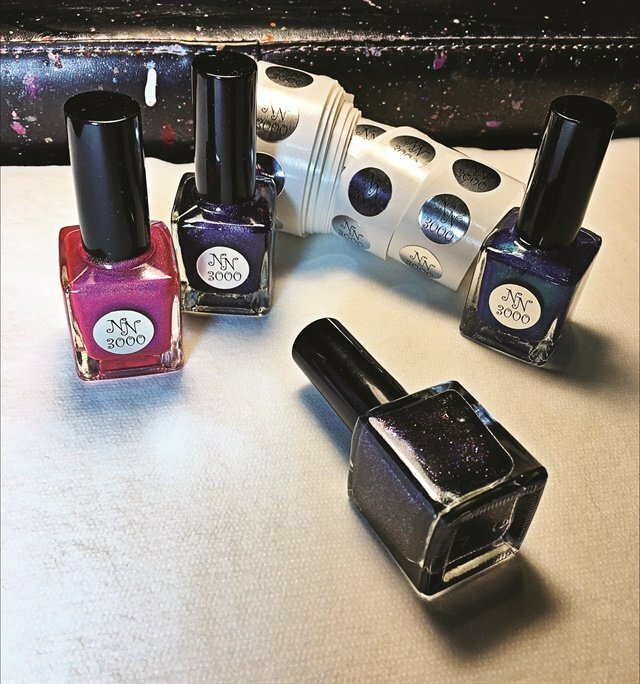 For the adventurous entrepreneur, you can go your own route by mixing pigments into a suspension base, then loading them into the polish bottles of your choice. 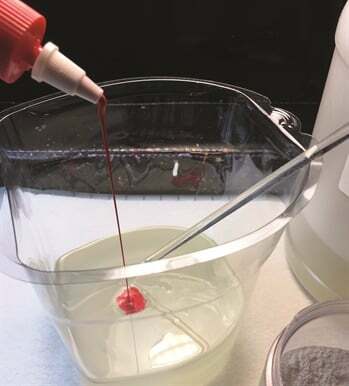 You can buy bases and pigmented liquids and powders from online suppliers, such as TKB Trading or Micamoma. Be aware that this route will be more time-consuming, but it’s probably the right fit for someone who wants to physically mix her own unique polishes and have complete freedom in her choices of pigments, additives, caps, and bottles. 6. Design a lovely logo and use pretty packaging. Your logo will symbolize what your company represents, and the packaging will serve as a first impression to your customers. Aesthetics is always important, never more so than in the beauty industry. Create your own, or ask your supplier for help. “We know what works and doesn’t work — simple artwork is best because it will show up. You can’t have something too ornate on a tiny polish bottle,” Antinelli says. Once the polish is bottled, Chheo-Shen applies a sticker logo onto the bottles in her home-based studio. Although she normally uses silkscreened labels, hand-labeling is a more affordable way to label bottles. Chheo-Shen is very involved in the polish community. She’s befriended other indie polish makers, nail techs, and cosmetic collectors, and is thankful for NailNation3000’s expanding support. “I did the work to get it started, but they’re the fuel that keeps the fire burning. I can fan it, but they’re the ones who burn it for me,” Chheo-Shen says. In other words, network via social media and any other means available to you. For tips from other business owners on how to launch your product, go to www.nailsmag.com/productlaunch. Thinking of starting an indie polish line? Here are five things to consider.